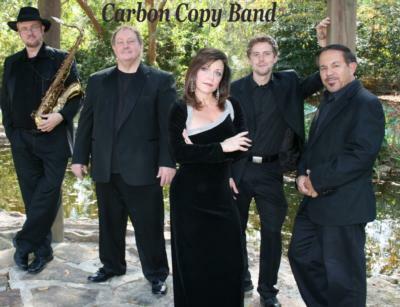 The Carbon Copy Band specializes in Weddings & Private Parties. 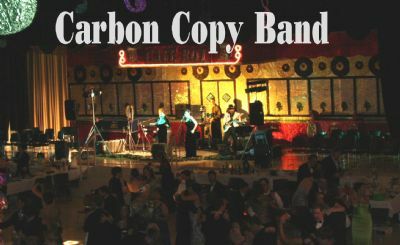 Carbon Copy has earned the honor of being the #1 Wedding Band in Louisiana. 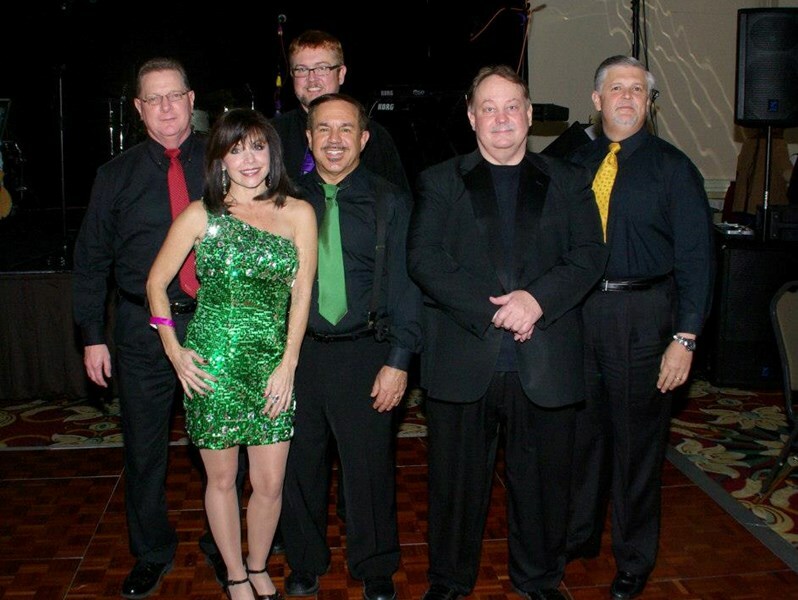 A 6 piece band with 4 lead vocalist and our horn players for all of your favorite Funk,Pop,Top 40 & Rock n Roll dance music. They are never loud and keep the attention where it is supposed to be, on the bride & groom. At parties Carbon Copy doesn't hold anything back and is as entertaining to watch as listen to. Whether it is a wedding or party your guest will never stop talking about the fun they had. Visit our website for sound clips and more information. I can't say enough about Carbon Copy. They were professional, on time, played great, wee so friendly and just plain awesome. Their horn section has developed so well over the last year that it's set them in a class of their own. I would highly recommend them. Great Band! Great Party! Highly recommend this band for your wedding! With feed back from other board members as well myself we found the band was awesome the first 3/4 of the night. Sound, great, musicality great,variety so so. We found they could not satisfy the younger crowd. Our Krewe is very versatile in ages and the younger crowd felt as if their music was not even hit on. Also we found after the first half of playing the band tended to pause between songs to long. Over all our guest enjoyed. Thanks for the opportunity to work w/ you all. We enjoyed performing for the ball and as the night rolled on the guest kept coming up to talk to us and make request. Which in turn delays starting the next tune right away. We only took one break on a 4 hour gig and as far as music for the younger crowd goes some were requesting vulgar rap and we do not do that type of music. On our website we have a complete songlist and song samples so there should be no issue about not playing a certain type of music that a client may want. We played a Mardi Gras ball the previous week before which had even more younger members and received nothing but compliments. Even though we received a 4.5 we always strive for 5.0 rating. We had a great time at our wedding with Carbon Copy playing! Everyone commented on how much they enjoyed the band and loved the fact that they played at a volume suitable to our venue. They were also very easy to work with. We thoroughly enjoyed having Carbon Copy at our wedding! Carbon Copy was fantastic. Music was great and the band was very professional. Everyone enjoyed them and I am glad we were able to get them for our reception. I recommend them highly for anyone getting married. CCB was wonderful, we got so many compliments on how fun the band was! They played music for both the older and younger guests, everyone was out on the dance floor having a ball~i would definitely recommend them to anyone getting married who wants a band that keeps the party going! Carbon Copy was the perfect choice for my wedding. The variety of songs they played from todays hits to the oldies was great. Terrific vocals and they dressed professionaly. My coordinator didn't show up and the band took over and handled all the formalities for me. They made my reception. Thanks Carbon Copy !! Please note Carbon Copy Band will also travel to Brusly, Port Allen, Addis, Sunshine, Greenwell Springs, Plaquemine, Saint Gabriel, Denham Springs, Baker, Carville, Prairieville, Bueche, Duplessis, Pride, Watson, Geismar, Zachary, Erwinville, Gonzales, Grosse Tete, Rosedale, Torbert, Walker, White Castle, Burnside, Brittany, Glynn, Rougon, Lakeland, Saint Amant.